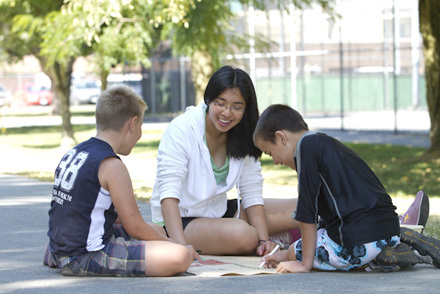 Steveston Community Park is a 30 acre hub of activity in the heart of Steveston. 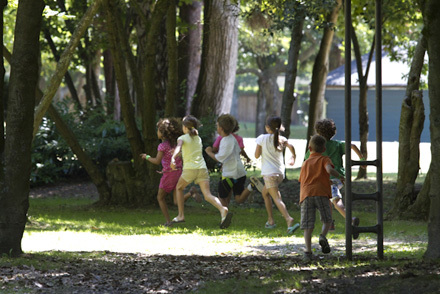 It is a destination for families because of its unique and expansive playground and waterpark. 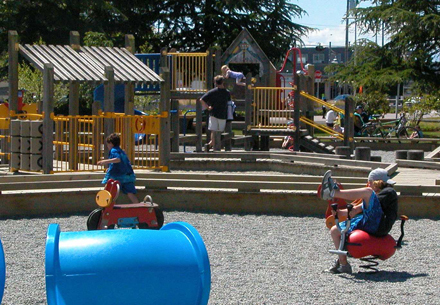 The playground is built around a fishing village theme and includes the giant trawler play structure. Open from mid-June to early-September. Hours of operation are from dawn to dusk. 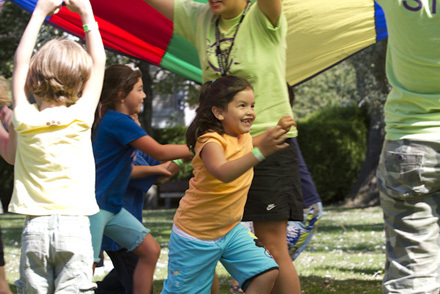 Learn more about the pool! 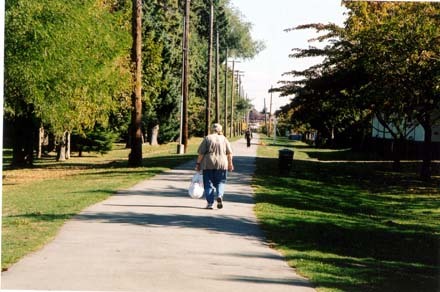 The park is home to the historic Interurban Tram, which is housed in an interpretive centre on the original tracks near Moncton Rd. And No 1 Rd. 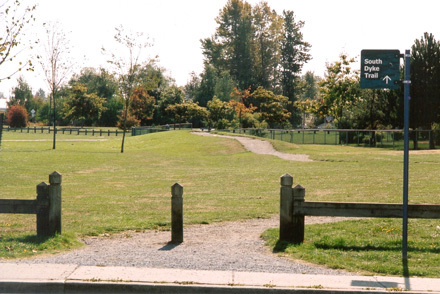 It is located at that corner of the Millennium Plaza, which commemorates Steveston's origins as a fishing village. 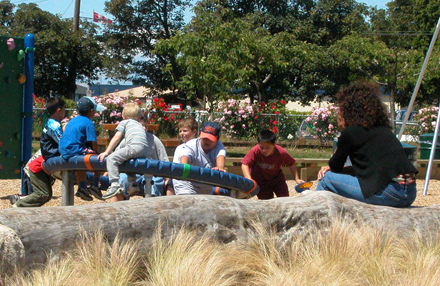 Extensively redesigned, wheel-chair accessible playground in south east corner of the park. 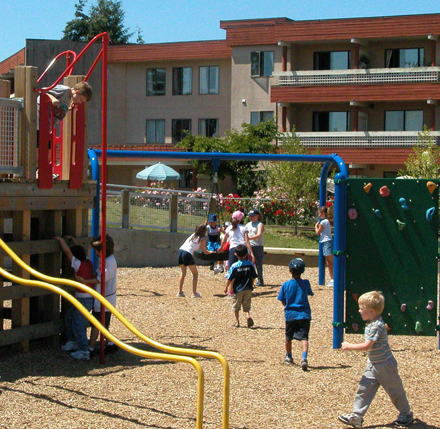 Playground includes ramps and elevated platforms for accessibility, new play equipment and is suitable for both toddlers and older children. 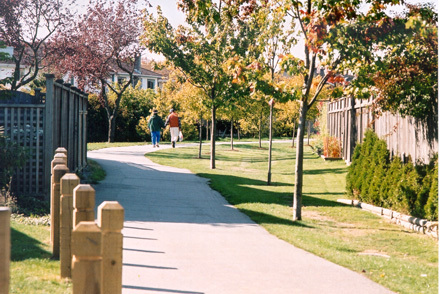 Multiple building on the site include: Steveston Community Centre, Japanese Canadian Cultural Centre, Martial Arts Centre, Steveston Public Library, outdoor swimming pool and more. 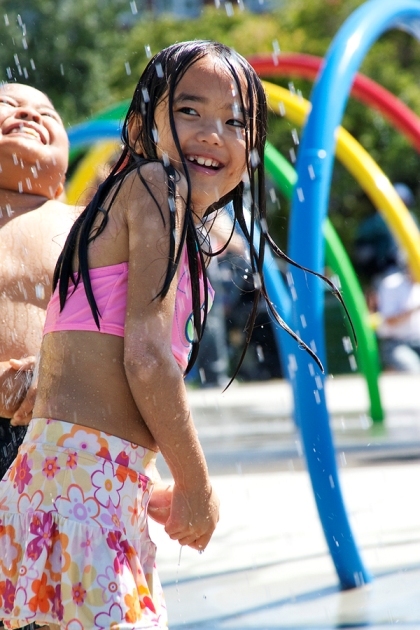 Waterplay area features numerous spray guns, bubblers, rain towers and spray / misting structures. 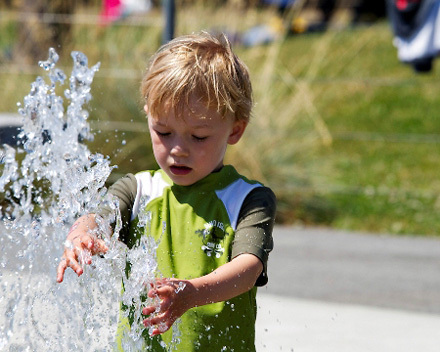 It is an environmentally conscience waterplay area with a high-tech water system that filters, treats and recirculates water minimizing water consumption and waste. 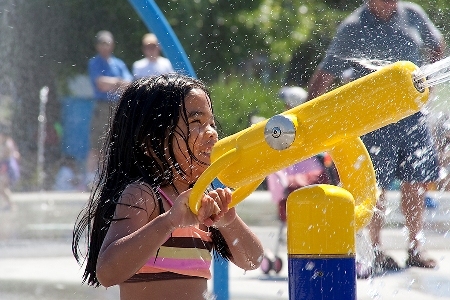 Waterplay park amenity is open and in operation from late-May to early-September, weather permitting. Hours of operation are from dawn to dusk. 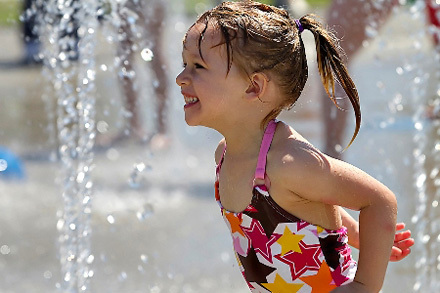 Waterplay park amenity is open and in operation from mid-June to early-September. Hours of operation are from dawn to dusk.